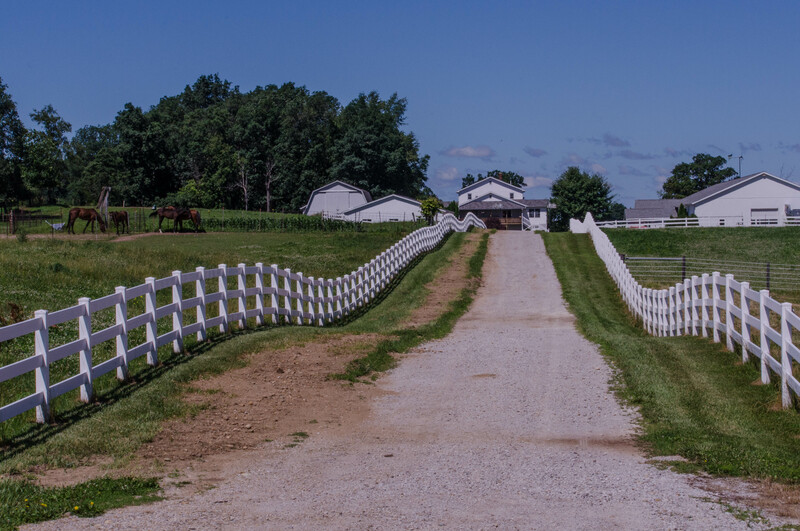 The Amish countryside has a gentle tranquility and inviting, humble hospitality to it. 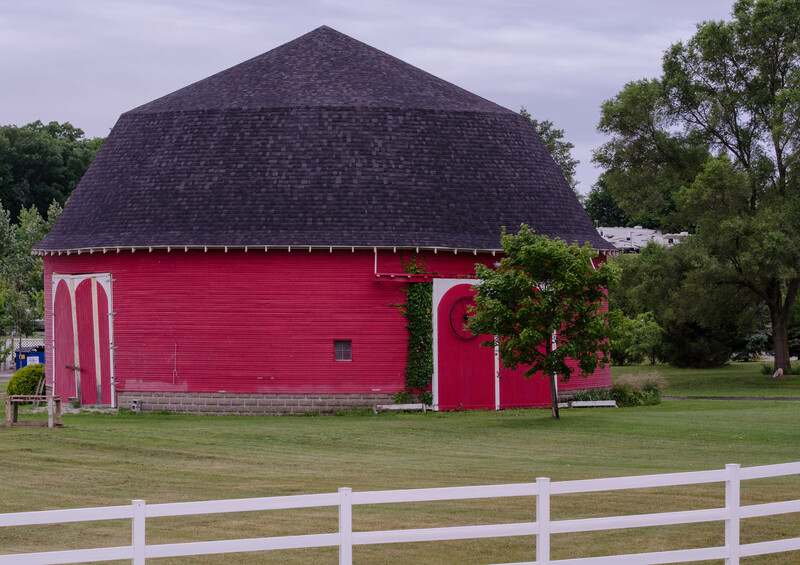 We saw many rare sites, including this round barn. The terrain is gently rolling with a beauty that is very hard to capture. 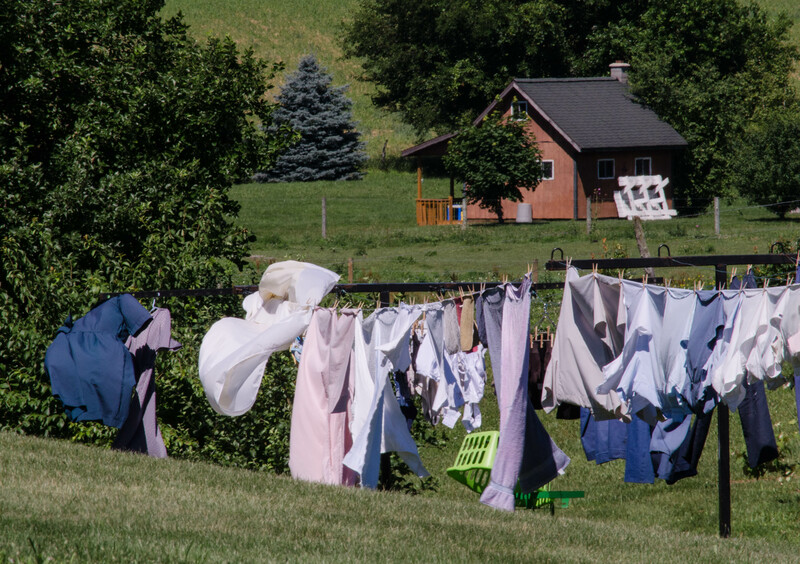 It was laundry day for some homesteads. Even driveways had an eye-catching beauty. 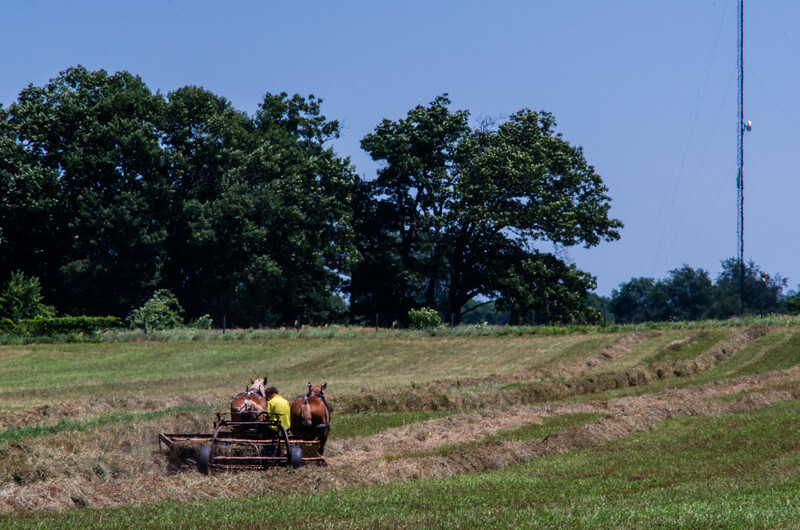 The farms gave evidence of a modest prosperity in the midst of living a simple life. 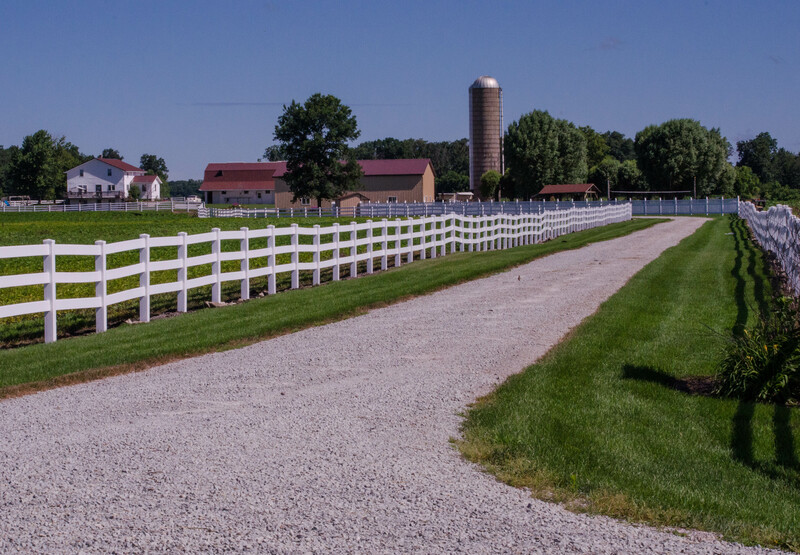 We saw beautiful homes as well as well-kept farms and fields. 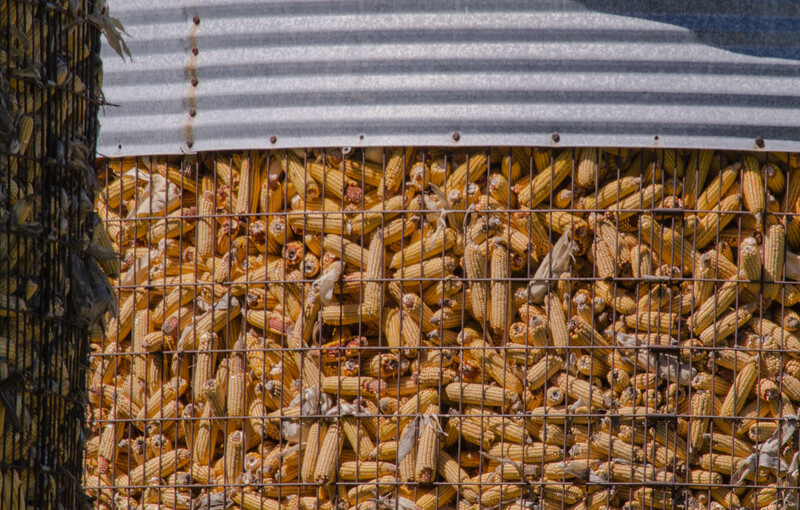 Most farms had corn storage as well as a vegetable garden near their houses. 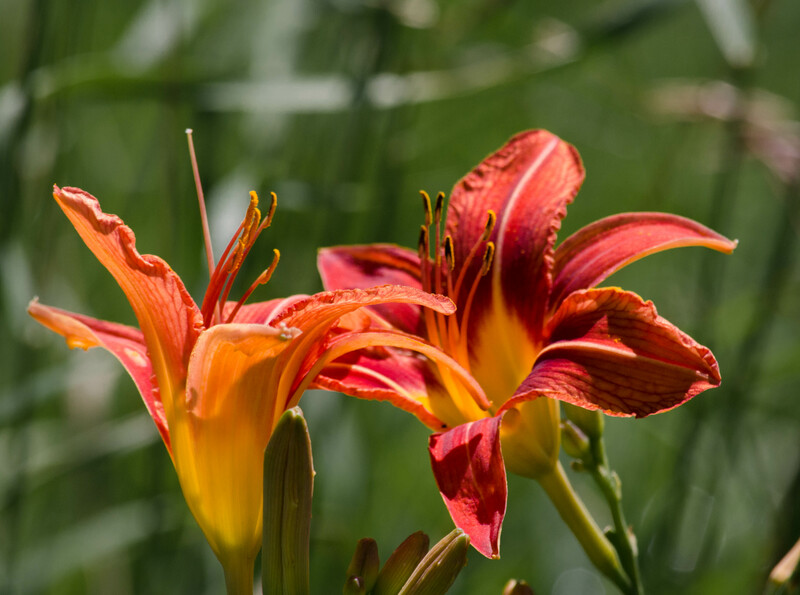 Many of the vegetable gardens were bordered with beautiful flowers. 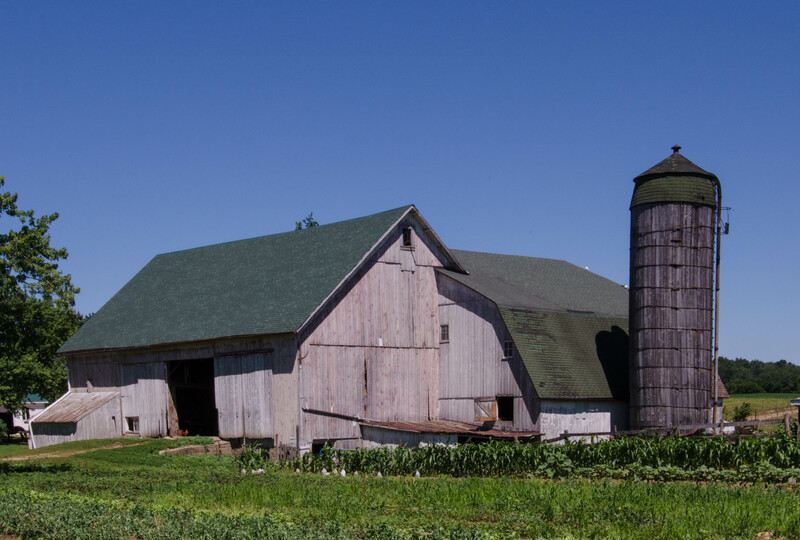 One barn that caught our eye had gently aged wood and a beautiful green roof. 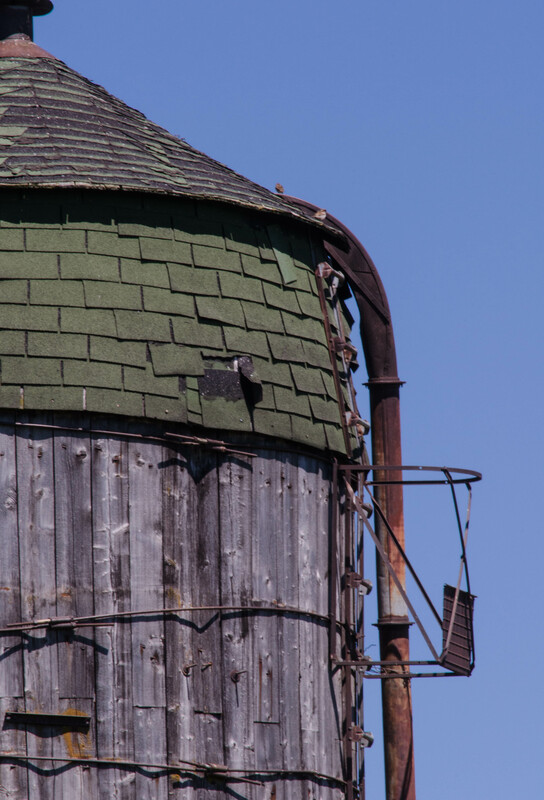 As we came closer, we realized that the round silo was also constructed of wood. I chuckled at the sign below. 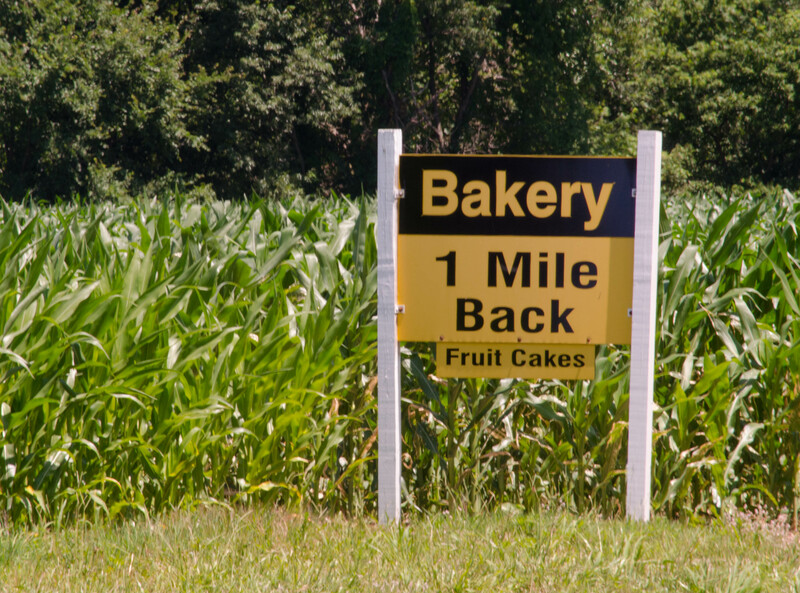 I don’t want to give the impression that Pat and I look for bakeries (we do, but I don’t want to give that impression), but sometimes they come looking for us! 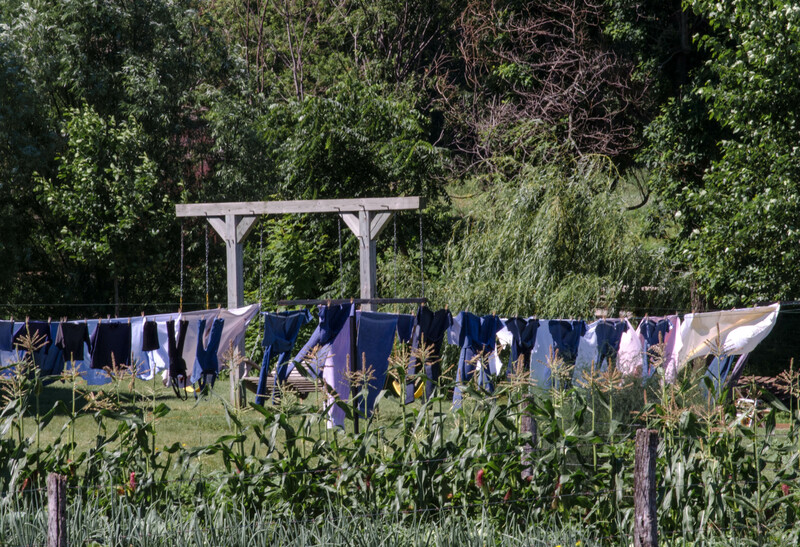 The Amish live a simple life in the midst of a complex world. 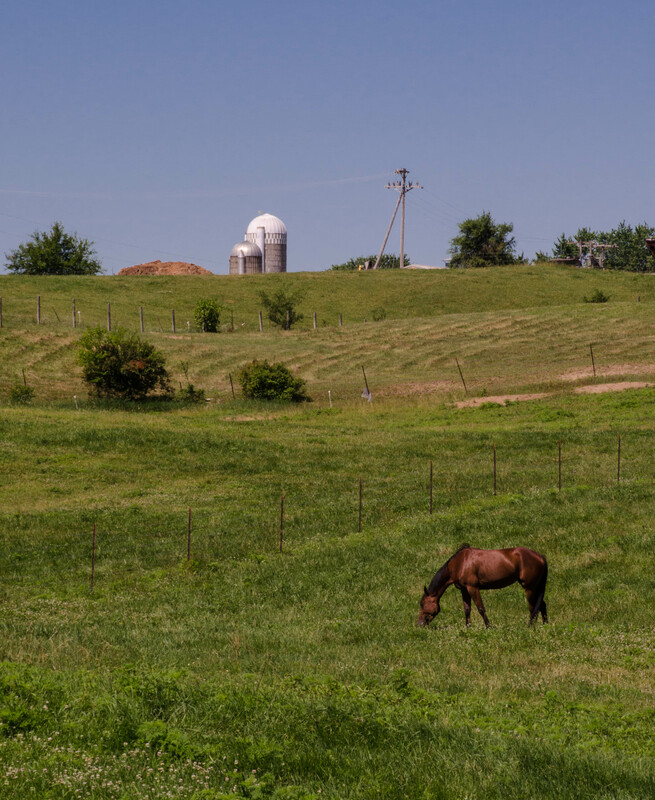 Not all of the countryside population was Amish which seems to illustrate the paradox of the lives of the Amish. They do not drive motorized vehicles, but will accept a ride in one. The women dress plainly and modestly, but make beautifully colored quilts. They harvest in fields with nearby cell towers. They have paradoxes, but live lives mindful of a quieter, gentler time. A simpler time that many today sometimes envy.